Canadians like to do things right. We especially like to make inspirational videos that say we like to do things right, maybe featuring a shot of an orca whale. While Canada is undeniably one of the best countries to live in, the values we stand for are sometimes hard to maintain beyond our borders. If I could clarify with an analogy: if you walk into a room full of monkeys flinging their poop everywhere with the good intention of cleaning the place up, all you’re going to get is poop flung at your face. Take the situation in Ukraine. Here Canadians are, wanting to support the Ukrainian military in their fight against the separatist rebels, when, all of the sudden, Canadians need to worry about possibly training Neo-Nazi militants. The Canadian government has committed as many as 200 Canadian soldiers from Petawawa Garrison to train Ukraine’s military this summer. 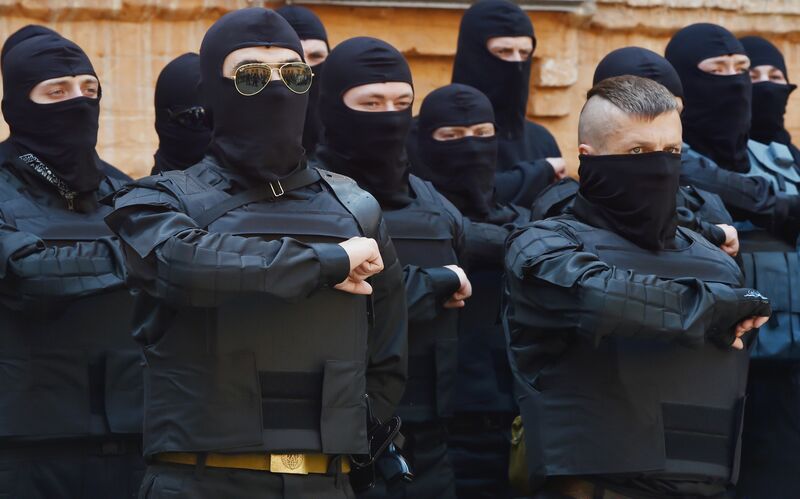 Some members of Ukraine’s most effective fighting units have openly acknowledged their Neo-Nazism, or have expressed anti-Semitic or extreme right wing views. 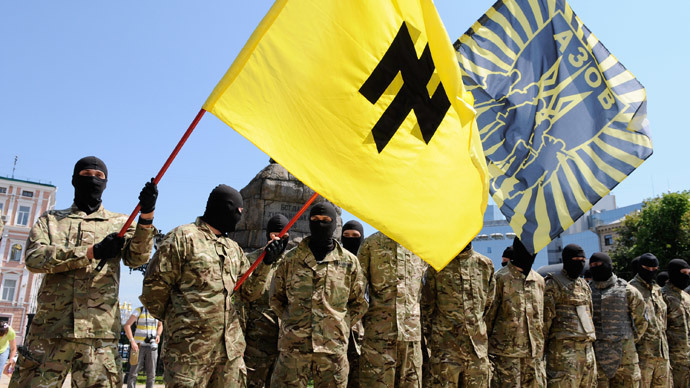 The Azov Battalion, associated with Ukraine’s national guard, uses a symbol similar that of some Nazi SS units. Andrey Dyachenko, a spokesman for the Azov Battalion, admitted in March that only 10 to 20 percent of the unit are Nazis, which might be a surprisingly good statistic in Ukraine. In Canada, however, it’s less than reassuring. The Conservative government has provided more than $570 million worth of aid to Ukraine. Some claim the intentions of money has been aimed at winning the Ukrainian-Canadian vote in the upcoming election. While some Nazi’s insidiously slip into the ranks of the Ukrainian forces like a greased up ping-pong ball through the hands of a toddler, others are storming into the military with such bravado that even if they were an internationally wanted criminal, they would still be able to occupy a high-ranking position of government. Especially Dmitri Yarosh, who is an internationally wanted criminal and who will be occupying a high-ranking position of government. Yarosh, who will become an advisor to Ukraine’s military chief, is the head of the Right Sector party which was formed as a coalition of nationalist and Neo-Nazi organizations during the Maidan protests in Kiev at the end of 2013. In July last year, the International Criminal Police Organization put Right Sector leader Yarosh on its wanted list. Another Ukrainian official, Oleh Tyahnybok, leader of the far-right nationalist Svoboda party, has also left European Jews on edge. While Tyahnybok has denied being anti-semitic, he co-signed an open letter to Ukraine’s president in 2005 calling for a government investigation into “criminal activities of organized Jewry in Ukraine.” To be fair, blackmarket chutzpah dealing has been rampantly increasing in Ukraine since the beginning of the century. What can we do? Either we stay out of the situation entirely and be looked upon as Putin-supporters, or we retroactively ready an army of Nazis for war. Either way, we’re going to have monkey poop flung at our face. We might as well get use to the smell.